The last two teams to qualify for the first ever EuroLeague Women Final 8 are Rivas Ecópolis and Sparta&K Moscow Region. This result means that no clubs from France are participating in the final phase of the competition. In the first game of the day between Sparta&K Moscow Region and Nadezhda Orenburg, the supporters were given a treat in quality play-off basketball for the first 30 minutes. Sparta&K Moscow Region were the hosts but struggled to impose themselves on their own court until the final quarter. Leading (64-60) at the end of the third quarter, the hosts finally put a stop on Nadezhda Orenburg with a 10-0 run to open up a 12-point lead (74-62) with seven minutes to play. They then never looked back as they dominated the offensive rebounds to win by a comfortable margin (82-67). Once again Seimone Augustus was excellent. She scored 23 points and picked up 9 rebounds. But it was her hustling that won the day. Candice Dupree and Becky Hammon both had their moments of brilliance and poor play but still finished with 16 points each. Sonja Petrovic (in picture) is starting to show the skills that made her one of the best youth players of her generation while Jelena Skerovic picked up her team when they were in difficulty. For Nadezhda Orenburg, Rebekkah Brunson with 18 points and 11 rebounds was the best player while Natalia Zhedik with 15 points was a revelation in this EuroLeague Women tie as other key players disappeared. Foul problems for Elena Danilochkina made her ineffective. Katie Douglas, despite her 12 points, never got going while Anastasiya Verameyenka was transparent. In the second game of the evening Rivas Ecópolis were able to outfox Bourges Basket during the last four minutes to win (64-56). Rivas Ecópolis were leading (56-55) with just over four minutes to go when Céline Dumerc from Bourges, on her way to the basket, was blocked by Sandra Pirsic. Rivas Ecópolis then controlled the attack which Essence Carson (20 points) concluded with a threepointer (59-55). Although Bourges had 3 1/2 minutes to save the game they never recovered and managed just 1 free throw in the remaining time. Anna Cruz and Asjha Jones joined Carson in double digits with 16 and 13 points each. For Bourges Basket Cathy Joens had 18 points and Nwal-Endéné Miyem scored 12 points. 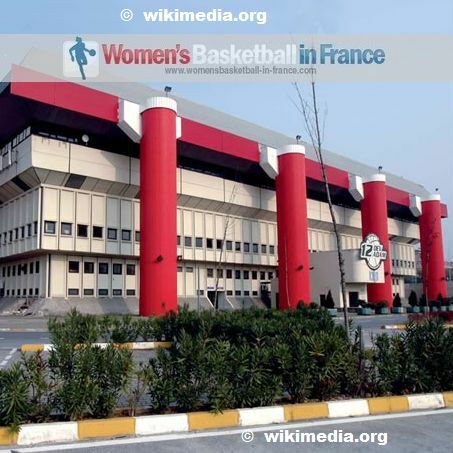 The EuroLeague Women Final Eight is contested in Istanbul's Abdi İpekçi Arena from 28 March to 1 April. The eight qualified teams are divided into two round-robin groups of four teams each. The composition of the two groups is predetermined based on the teams' overall regular season ranking. The winners of the two groups will contest the title game on 1 April 2012.